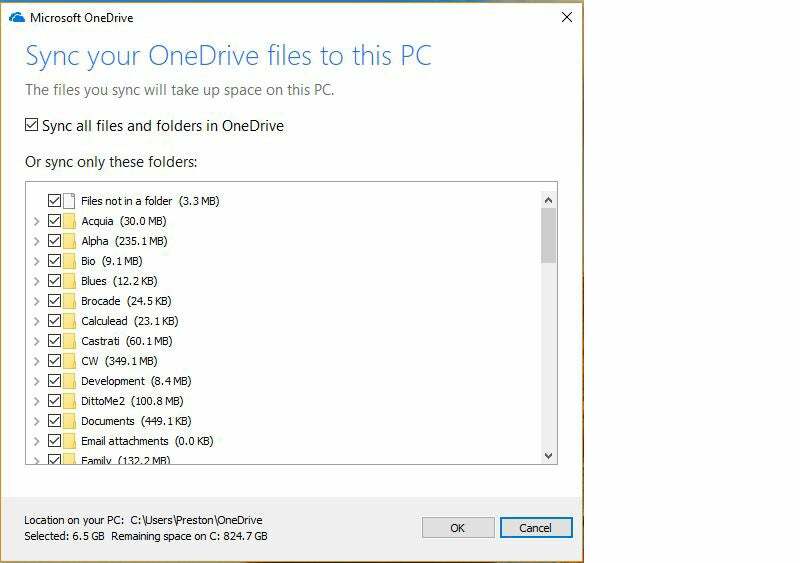 In Windows 10, you get to your OneDrive via File Explorer. By default, this shows you OneDrive files and folders that live on your PC — those that you've chosen to sync. If you instead want to see OneDrive in the cloud, go to www.onedrive.com. 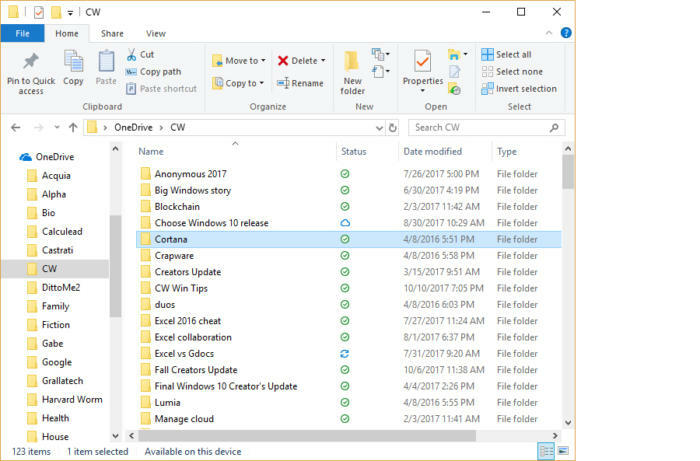 Alternatively, a new feature in the Windows 10 Fall Creators Update lets you see and access all your OneDrive files, even those stored in the cloud, from File Explorer. I’ll explain how to use that feature, called OneDrive Files On-Demand, below. Either way, a screen appears. 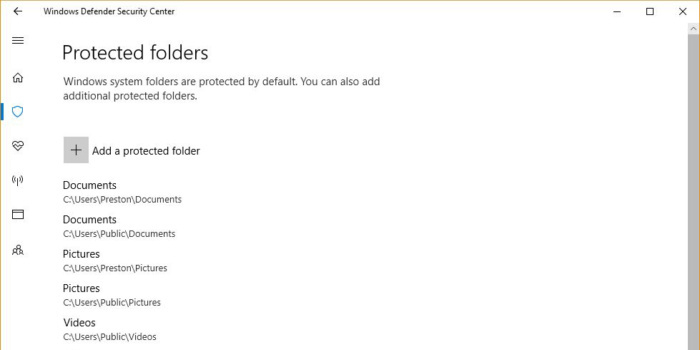 If you want to sync all folders, check the box next to "Sync all files and folders in OneDrive." If you instead want to sync only some of them, uncheck that box, then check the boxes of those folders you want to sync and uncheck the boxes of those you don't want to sync. 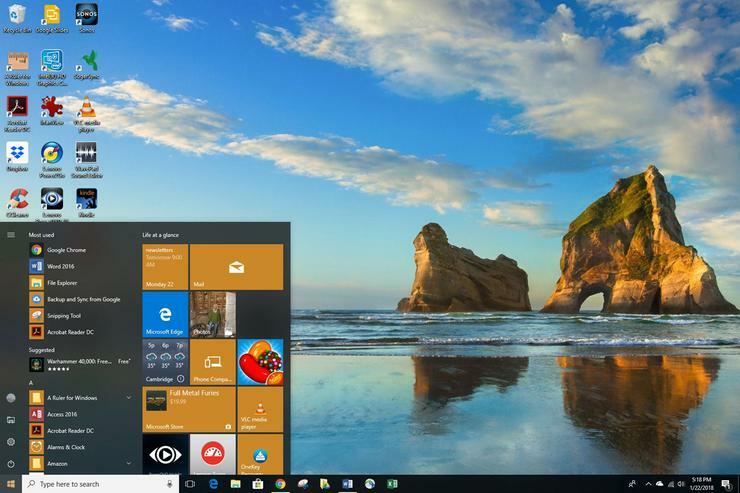 Introduced with the Windows 10 Fall Creators Update in October of 2017, OneDrive Files On-Demand is great for people who have multiple PCs and laptops, because it gives you access to all of your OneDrive files on every device, without having to download them first. 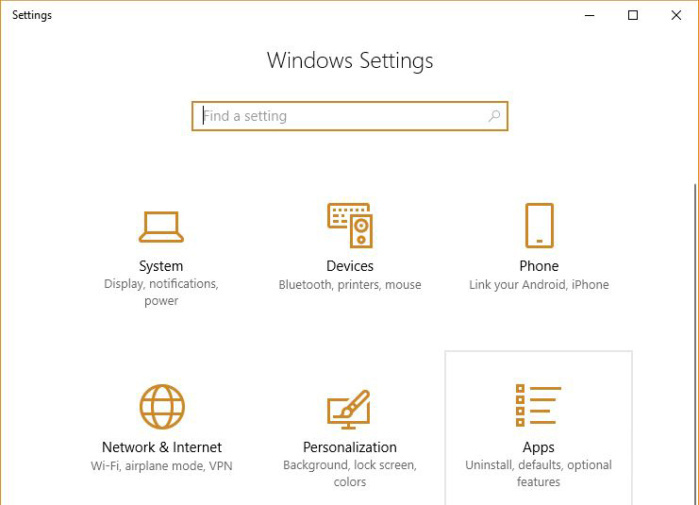 In Windows 10, all of your most important security settings are found in a single location, the Windows Defender Security Center. 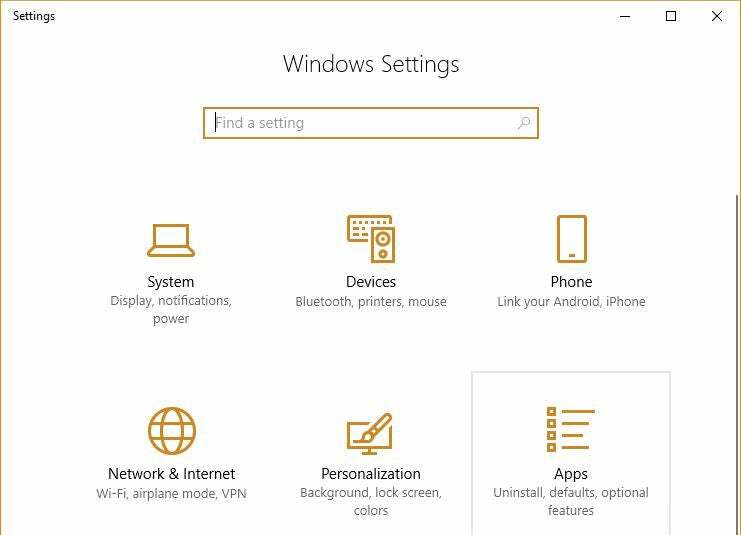 Get to it by typing Windows Defender Security Center in the search box and clicking the icon when it appears, or by choosing it from All Apps. 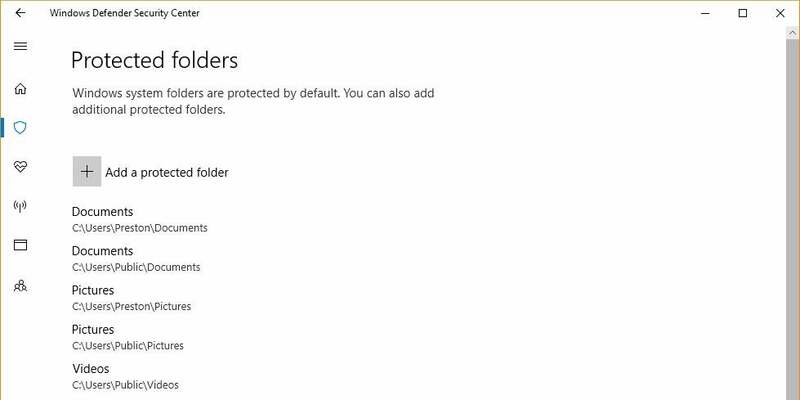 And if you’re worried about ransomware, you can turn on an anti-ransomware capability called Controlled Folder Access, in which only approved apps can get access to Windows system files and data folders. This was first introduced in the Windows 10 Fall Creators Update. To turn it on, in the Windows Defender Security Center select “Virus & threat protection” and click on “Virus & threat protection settings.” One note about this: Before you click on that setting, you’ll see a note underneath it that says, “No action needed.” Click it anyway. That’s the only way to get to Controlled Folder Access. Controlled Folder Access protects against ransomware by only allowing vetted apps to access important folders. If you instead want to add an app that can access the folders, click “Allow an app through Controlled folder access,” then click “Add an allowed app.” You’ll have to know the location of the executable file that runs the app. Navigate to the file, select it, and it will be allowed through.